The CamRanger Wireless Transmitter Kit with X-Rite i1Display Pro and ColorChecker Passport from B&H combines a wireless transmitter and two distinct calibration systems for accurate color imaging, improved workflow and wireless image transfer and remote camera control. 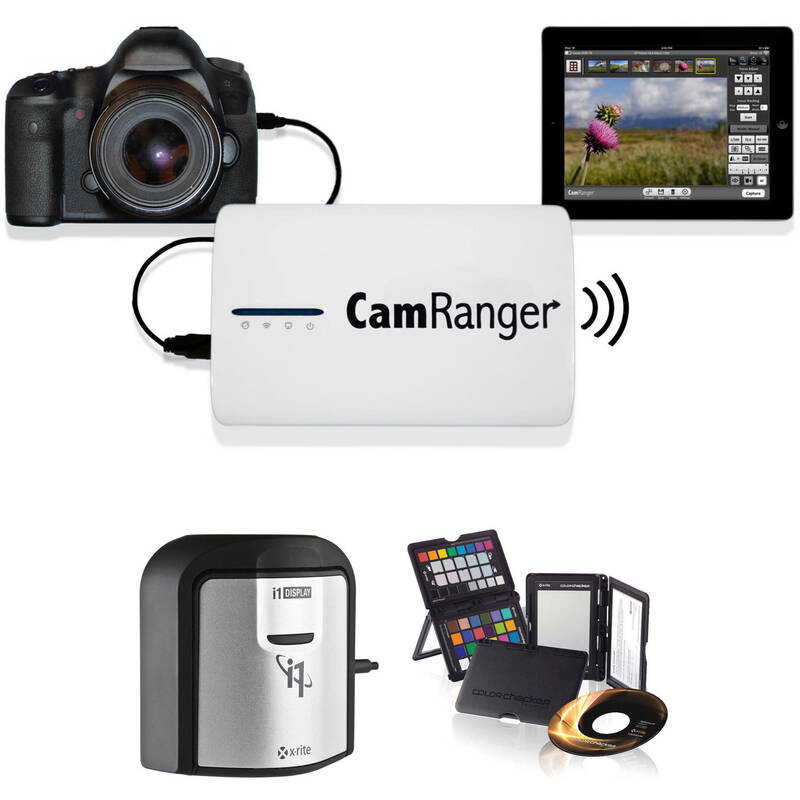 The CamRanger creates an ad-hoc Wi-Fi Network for your Canon or Nikon DSLR thus providing wireless image transfer from camera to smart device as well as enabling your smart devise to become a comprehensive remote control system for your DSLR. Live view, still and video capture, aperture control as well as advanced features can be controlled by your smartphone or tablet. The X-Rite i1Display Pro is a calibration and profile software system for displays and projectors, helping match the color on your display to that of your original image. Compatible with almost all display technologies, the i1Display incorporates three functions - ambient light measurement, monitor profiling, and projector profiling - into one fast device. The X-Rite ColorChecker Passport places three calibration targets in one convenient, portable kit with a built-in stand. A creative enhancement target allows one-click warming and cooling, and easy evaluation of shadow details, a classic target offers the standard 24 patch for creating DNG profiles and the white balance target allows for a consistent white point for a series of images. Can this be used with two cameras at the same time ? No. One camera at a time only.